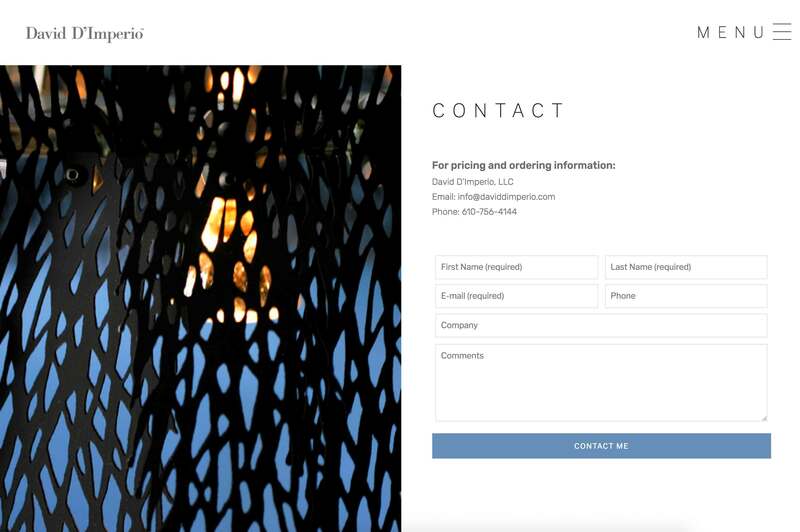 Website for Industrial designer David D'Imperio. 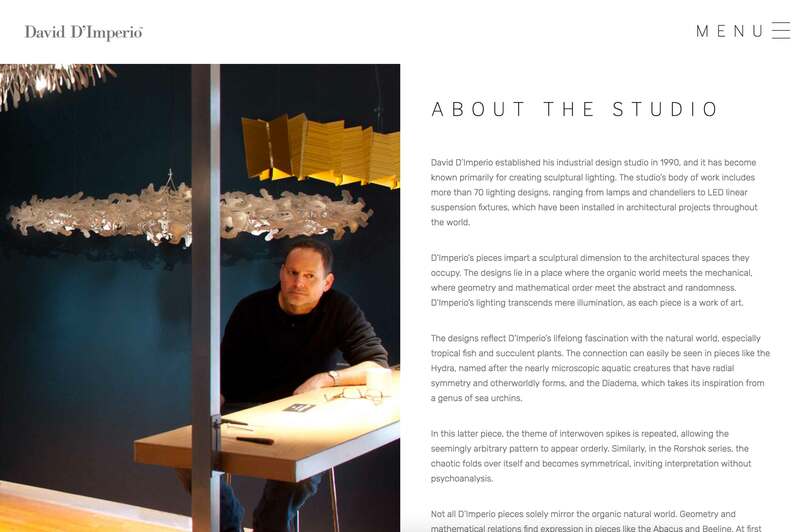 David's linear suspension lights are elegant, beautiful, and do not need much introduction, so there is not too much frill around the layout for his site. 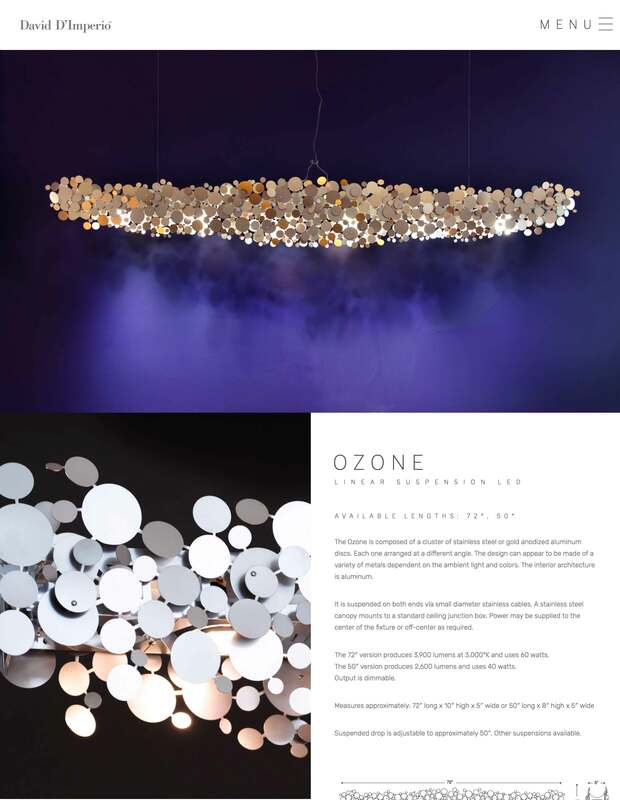 This site is mainly used as a look book of products for vendors and interior designers rather than a straight portfolio or ecommerce solution. This was designed for maximized visual impact, and developed with speed in mind on a custom php framework.